It’s been a couple of weeks, but I’m still thinking about my maiden voyage watching Rebel Without a Cause (1955) in its entirety. I think I started watching it a couple of times when the film played on Turner Classic Movies (TCM), but I just don’t ever remember finishing it. Well, that was a mistake which I’ll never do again now that I’ve seen the film on the big screen courtesy of this year’s TCM Big Screen Classics series (the film screened on September 23 and 26). I found the film to be a riveting, compelling drama that’s worthy of its reputation. James Dean puts in a stellar, legendary performance as Jim Stark, a high schooler with affluent but out-of-touch parents (pictured above; all images ©️ Warner Bros.). He becomes friends with his neighbor and classmate Judy (played excellently by Natalie Wood) and John “Plato” Crawford (also excellently played by Sal Mineo), who also have serious issues happening at home. And, in a departure from most every film ever, while all of the adults seem dysfunctional, the one steady adult in the film is the neighborhood detective, played perfectly by Edward Platt. The tragedy that unfolds is, sadly, inevitable, but still heart-wrenching nonetheless. Director Nicholas Ray does such an excellent job with his storytelling. The visual cues of the families’ dysfunction is obvious, yet artfully brought in as part of the unfolding of the plot. The performances are stellar, as are the Los Angeles locations, particularly the beloved Griffith Observatory which is used so perfectly in the film. I now get it why people were so crazy about James Dean’s performance and why it remains such a classic today. Sorry to be slow to the party, but I’m grateful that I at least arrived. Thanks again to TCM and their outstanding Big Screen Classics series! 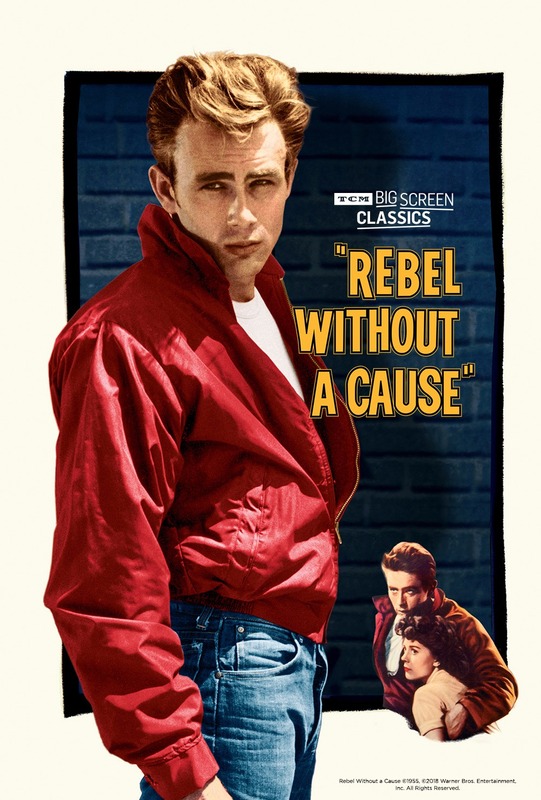 Author Stanford ClarkPosted on October 6, 2018 October 6, 2018 Categories Classic CinemaTags James Dean, Natalie Wood, Nicolas Ray, Rebel Without a Cause, Sal Mineo, TCM, TCM Big Screen Classics, Turner Classic Movies, Warner Bros.